Nike React Element 55 Black & Dark Grey | END. 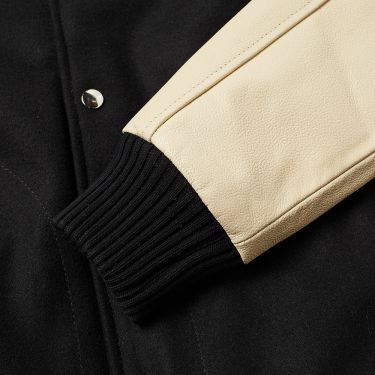 Thanks to its wearable and affordable apparel, the MKI brand has become a sought-after name in the golden era of streetwear. 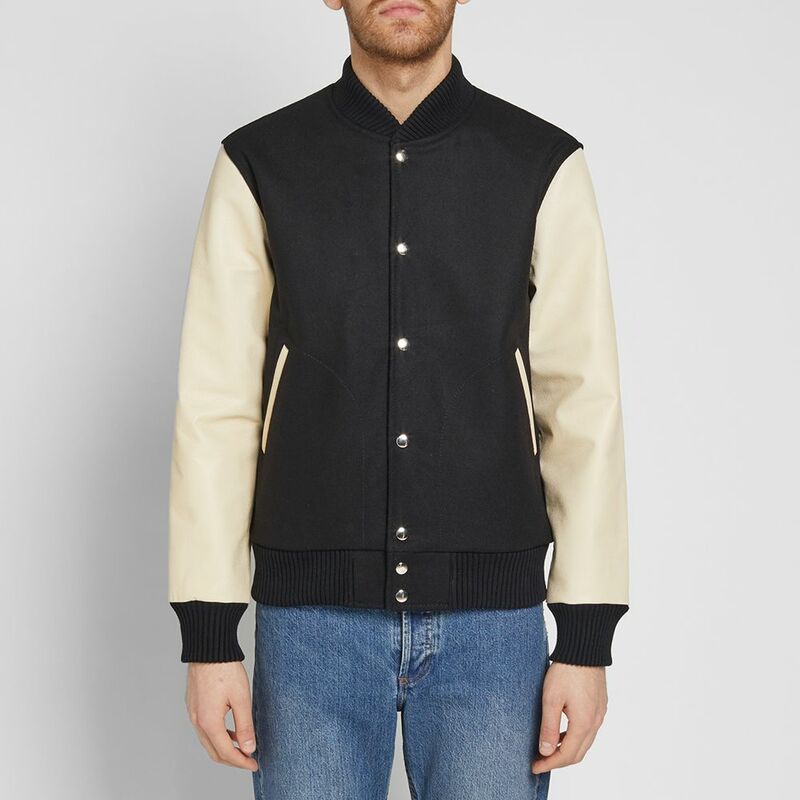 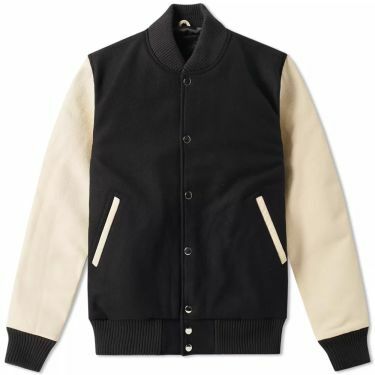 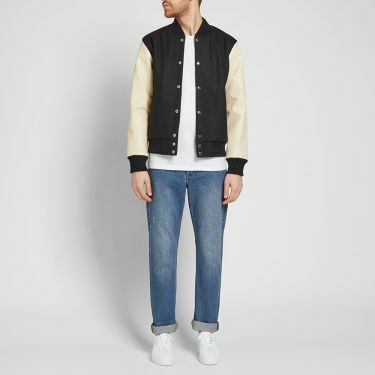 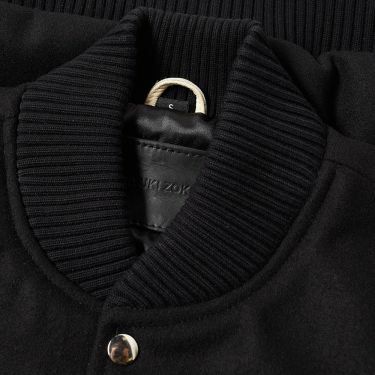 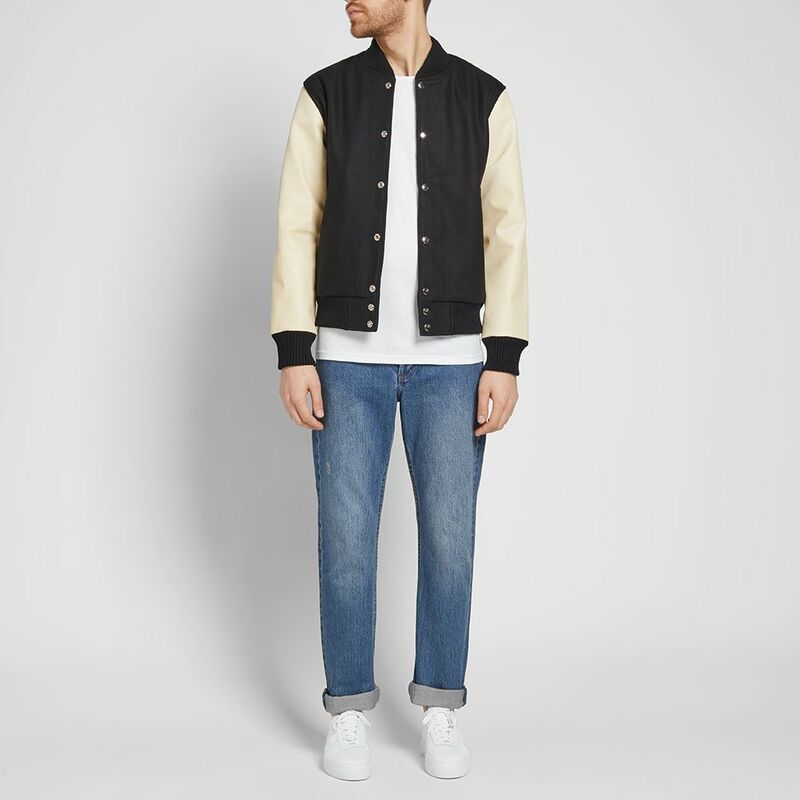 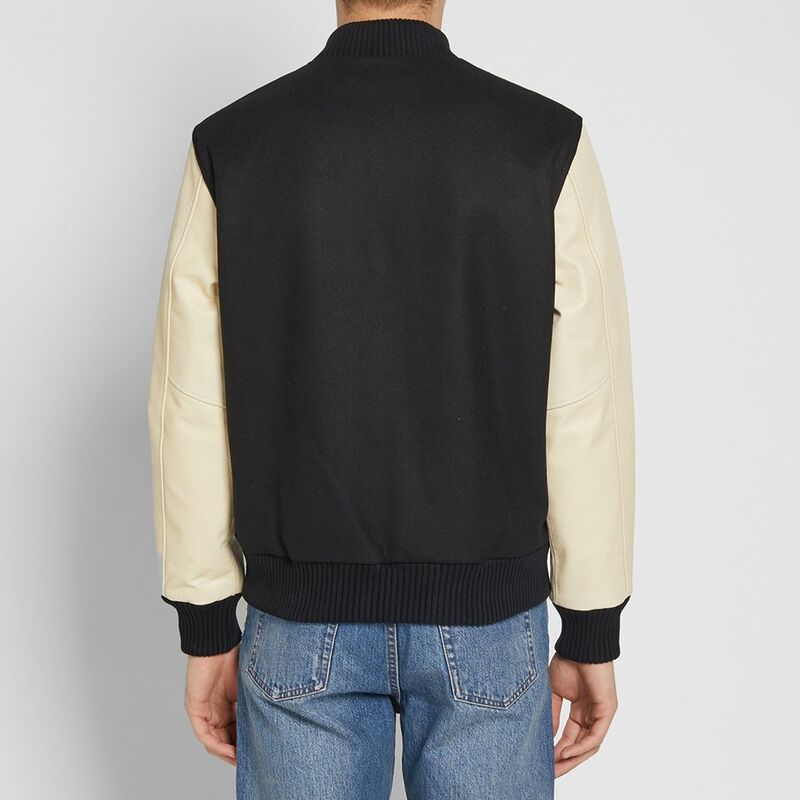 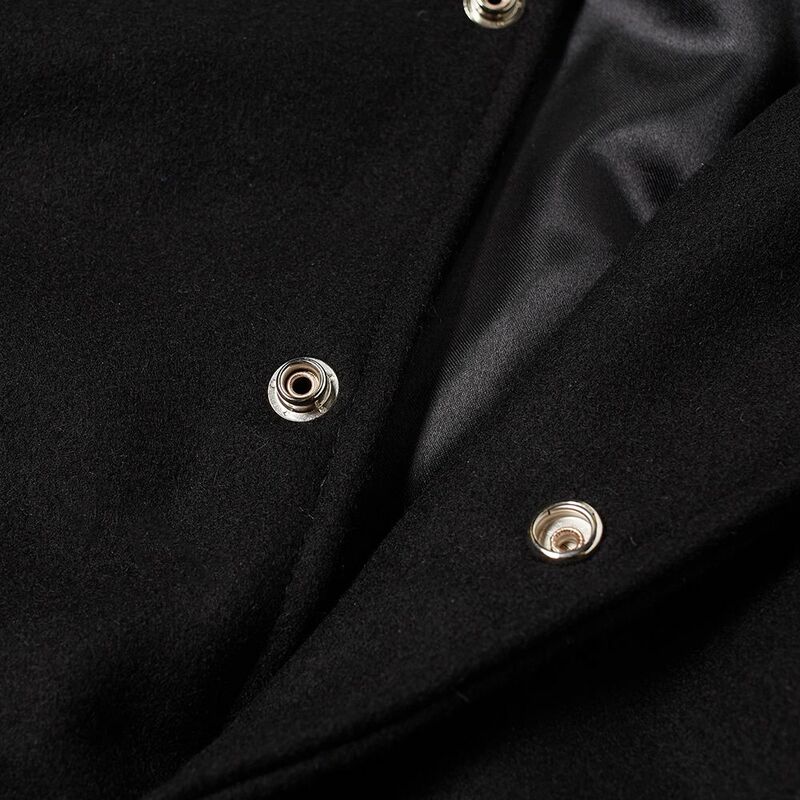 Inspired by a truly iconic athletic design, this classic varsity jacket is cut from a blend of melton wool at the body and supple leather at the sleeves. 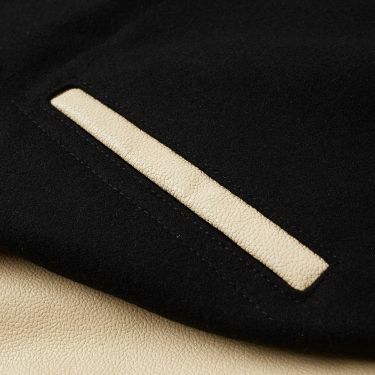 Secured with full stud closures and with a full lining, this clean and simple design is finished with two leather trimmed pockets.